launch new teams to meet demand. 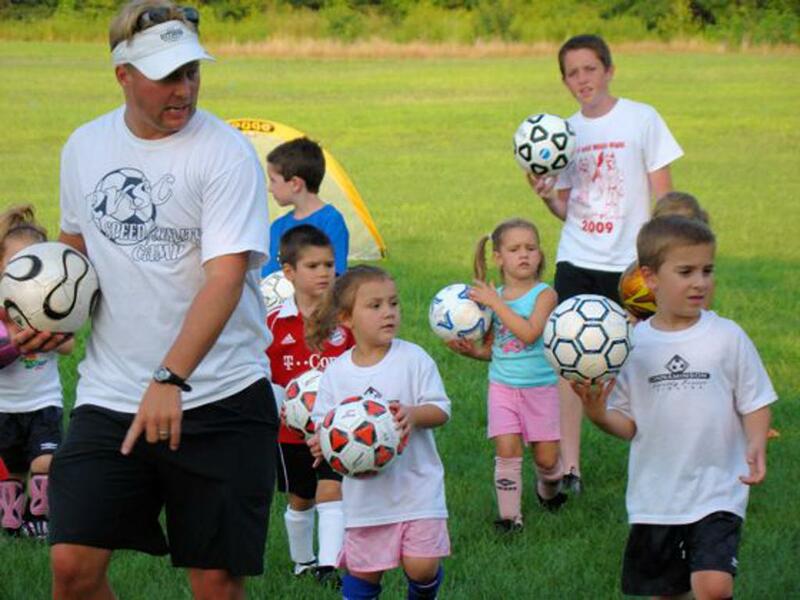 soccer skills camps throughout the year. We hold open boys & girls tryouts each Spring for the upcoming playing year for NEW players on existing (U9 through U14) teams and to form new (U8 - U10) teams. U11 boys and girls teams are looking for players as they expand to 11v11. We will form new U11 and up boys & girls teams depending on demand. Existing teams may have spots available each season. Our soccer program is based on the Coerver and Dutch 4v4 teaching methods. The program is designed to help foster the love of the game and to teach the fundamentals to succeed. Players will learn to play "the right" way. RVSC believes that teaching individual skills and techniques and using small-sided play is the best way to develop players. RVSC DOES NOT measure success based on a trophy cabinet or the win/loss columns. RVSC believes that players from ages U8 to U12 should be exposed to all positions including goalkeeper. Club soccer is usually a locally organized soccer program whose purpose is to provide opportunities for youth soccer players to experience a healthy, safe, and developmentally appropriate environment to learn, love and live the game of soccer. The value of club soccer is usually related to access to higher level of coaching, year-round soccer, opportunities to play at a higher level of competition, and exposure to various venues. It is typically through soccer clubs where players get recognition and exposure to college opportunities and access to college coaches and scouts.